As the time to be thankful approaches with the upcoming US holiday, Thanksgiving, perhaps it is time to plan and assess your garage space. Maybe you want to have better storage for holiday items, you need a cleaner workspace, or you wish to have a visually appealing area with additional space a few family members can enjoy. 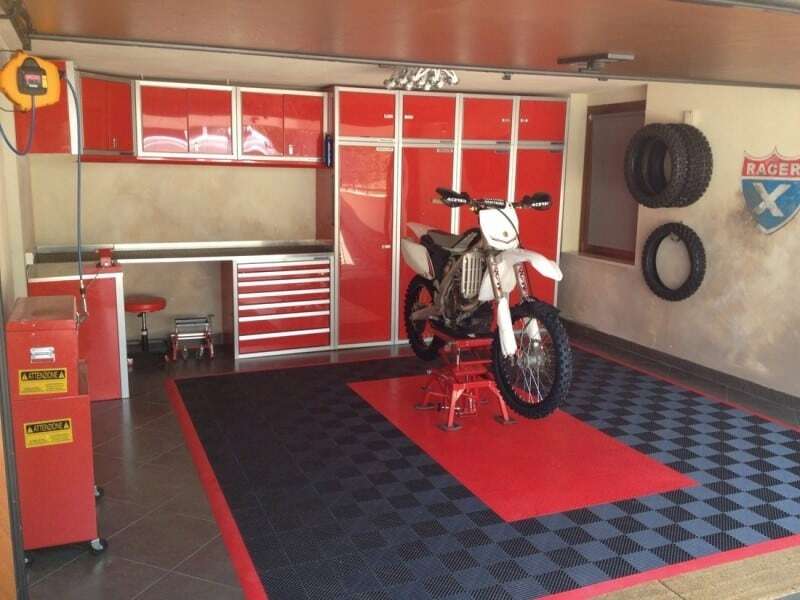 Allow Moduline Cabinets to assist in turning your garage dream storage and organization into a reality. Moduline’s modular garage and shop cabinets are made in the USA, created from durable high-alloy aluminum, and are top tier in quality and functionality. 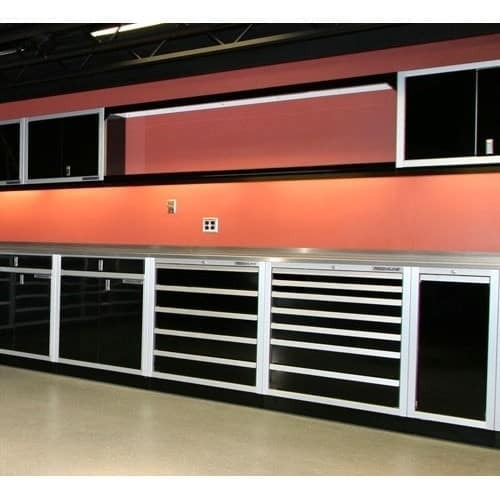 Suitable for luxury and economical garage organization, Moduline Cabinets takes pride in what our modular cabinet designs can do to the quality, organization, and eye appeal of your garage, shop, hangar, or area of specialty. For the very best in custom design layout, and coupled with a lifetime warranty, our PROII™ SERIES feature precision, versatility, and customization options. Our PROII™ SERIES cabinets and garage organization exhibit the superior quality trademark features Moduline Cabinets is known for: such as our Quickdraw™ Single Action Latch System and adjustable Toe Kick Riser™. To create the highest functional workspace in your garage or shop, you may also wish to see other features and accessories that include our trophy shelving, light shields, LED Lighting, Power Grids, workbench mats, drawer dividers and drawer liners. 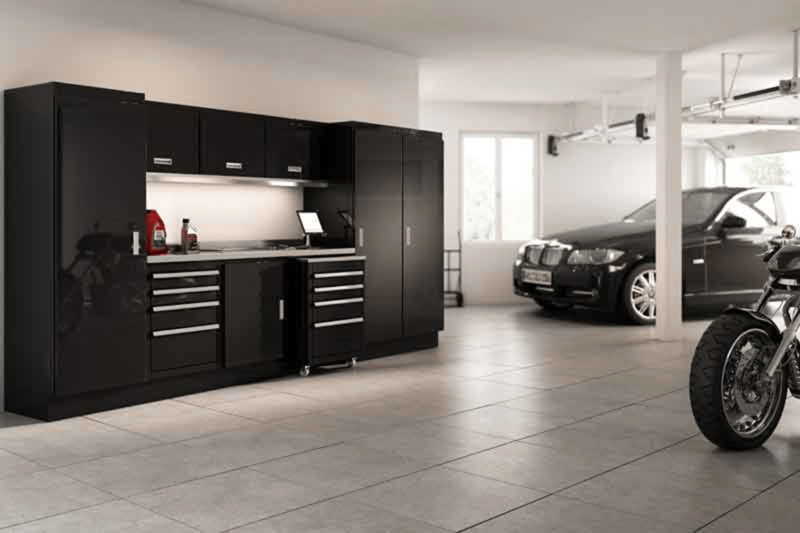 Our Select™ SERIES is Moduline Cabinets’ more economical solution to garage storage with zero sacrifice to the durability and quality of the Moduline name. With features like soft close hinges, a 6’’ Toe Kick Riser™, adjustable shelf system, and sleek color matched frame design, our Select™ SERIES cabinets are affordably crafted and easy to install. Our cabinets offer multiple component options, include all the hardware you need, require minimum assembly, and allow for an easy mounting solution via our Instant Walls™. The Select™ SERIES really can give you a garage, shop, or specialty space solutions to be thankful for. At Moduline, we offer customized and standard layout options. Our representatives are delighted to help you with selecting the best design and components for your project. Get started or call us for a complimentary design consultation at 888-343-4463.